The rent being offered to host a mobile phone mast on farmland is substantially lower than before. The number of mobile phone masts being installed on farmland has collapsed since legislation designed to reduce rental costs came into force, agents have warned. The Electronic Communications Code, which came into operation in 2017, was designed to address rural “not-spots” and improve the digital economy across the whole of the UK. But the number of new leases for base stations has fallen dramatically since the code’s introduction. 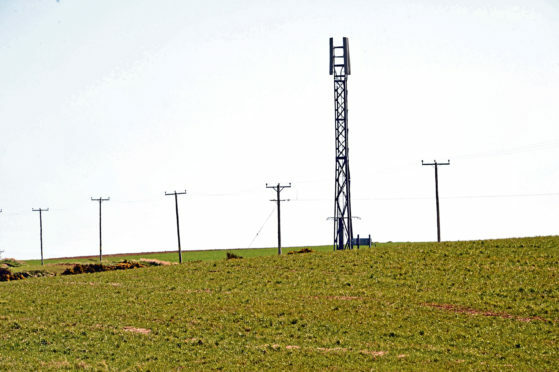 Land agency Strutt & Parker believes the laws are discouraging landowners from hosting new masts, because mobile operators are using the legislation to slash the rent payable. Ian Thornton-Kemsley, who advises Strutt & Parker, said: “Prior to the 2017 code coming into effect, the top 10 agents acting for landlords negotiated over 400 new agreements. He said operators were making offers for new sites for as little as £50 a year, while previous rents of around £12,000 a year were available for rooftop sites and £5,000 a year for greenfield sites. “Landowners are not persuaded by the sums on offer. Rather than tackling the problem of not-spots, the code is reversing a consensual market which was working fairly well up until its introduction,” added Mr Thornton-Kemsley. However, Aberdeen City councillor and planning expert John Cooke disagreed that the market had been working well before the new laws came into force. Instead, the rental market for mobile phone masts is coming into line with that of other utility providers, he feels. He said: “I’d certainly agree that mobile network operators (MNOs) will be using the code to drive down rents, which have typically accounted for around 10% of site operating costs.